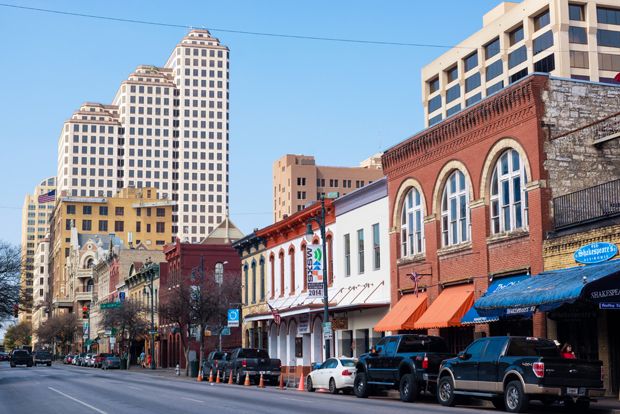 London’s Gatwick Airport has just launched new direct flights to Austin in Texas. You might ask yourself, “why Austin?” and yes, it’s a very reasonable question from anybody who hasn’t been there. So many cities in the world just feel like themselves and each other, with little in them to help you feel like you’ve visited the region that surrounds them. Austin is a different experience altogether. Although it’s more liberal and cosmopolitan than Texas in general, you sometimes feel like you’re on a movie set made to look and feel just like the Texas of legend. Ten-gallon hats adorn public art. Texas drawls slip out of mouths serving you the jalapeno candies and Lone Star beers. 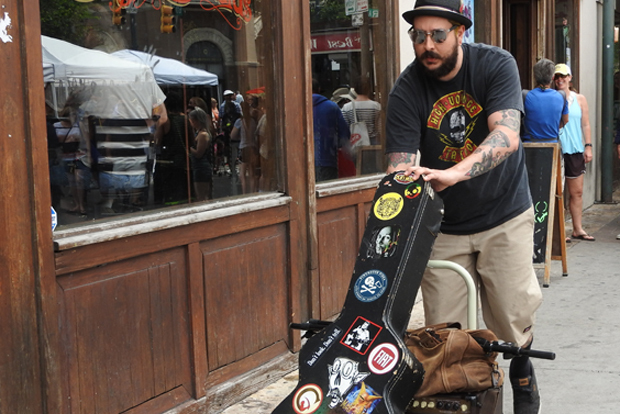 Blues music issues out of guitars on the street corners and every other person you meet wears cowboy boots. You’ll meet knife-making blacksmiths, oil tycoons, and custom bootmakers all on the same afternoon. 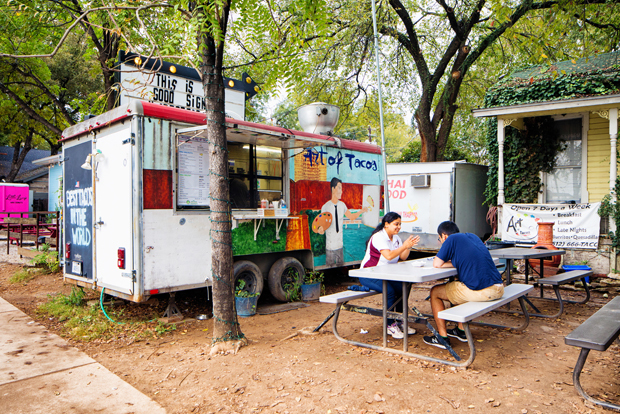 At the same time, Austin is a real city with all the experiences that a real city offers. Ask any local from 100 miles in any direction where they like to come to eat and they will tell you Austin without hesitation. 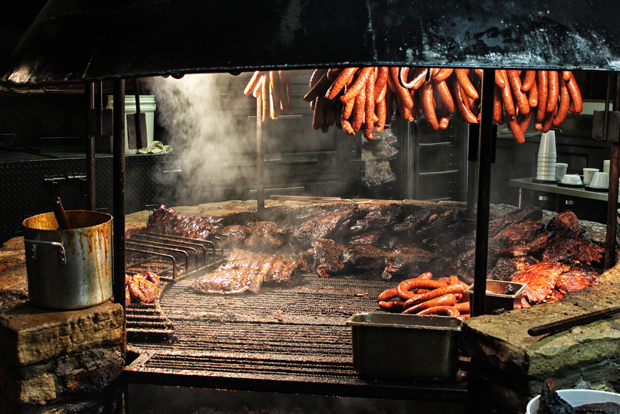 At the top end of the scale, sit-down dining from world cuisine to Texas barbecue is thick on the ground and delicious all through the town. Air conditioning and cold beer (or white wine) make for a fine break at lunchtime or to close down a day of Texas urban exploration. But the top end of the scale isn’t the quintessential Austin experience. For “Bat City,” that experience is food vans. The streets are lined with portable culinary adventures of all stripes. You can go classic and carry away some barbecue ribs, southern fried chicken, nachos, burritos, or enchiladas. Or you can explore the food that “Keeps Austin Weird”. Munch on things like pretzel pies, doughnut experiments and even more adventurous fare. The vans are also the epicentre of ethnic food in town, so if you have a sudden craving for curry, they will fix you up. And do not forget the drinking. Margaritas flow like water from dozens of food vans, and the microbrew scene is nationally renowned. Sample local favourites like Lone Star and Shiner Bock, or go for a pint made on site. Texas isn’t exactly wine country, but the city is big enough to stock vintages for every wallet size and from every corner of the world. 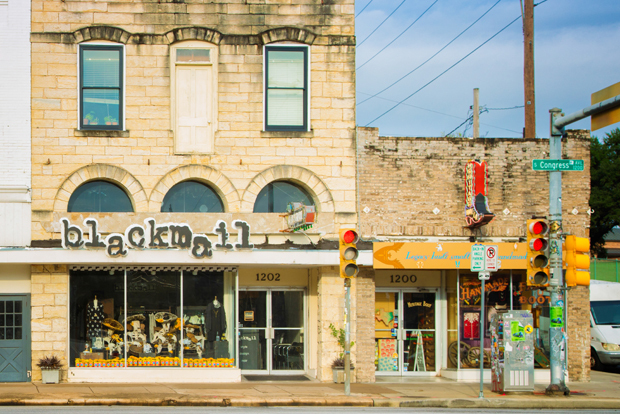 You could choose from two shopping experiences while in Austin, depending on what exactly you have in mind. You can go classic shopping and hit Northwood Mall or The Domain for upscale shopping and get your fix. You’ll find all the major brands, all the food court food, and all the air-conditioned window-shopping you desire. Or you can go local and funky, and visit South 1st Street and South Congress. Stroll the quirky streets and duck your head into vintage clothing shops, record stores, small jewellery boutiques, used book centres, art galleries, and rummage racks. If you want to bring home a souvenir nobody else has seen before, this is the way to do it. Austin used to be a sleepier cousin to Houston to the north, but no longer. Since the mid-00’s, Austin has seen a rapid expansion of its live music scene and is now the city to visit if you want to experience blues, rock, R&B, rap, dance, and especially country or bluegrass on tiny stages in what used to be private homes. There’s a huge choice of small bars, pumping clubs, and roaring dancehalls all around the town and outside of it. Whatever trouble you like to find, it’s available after dark in Austin. 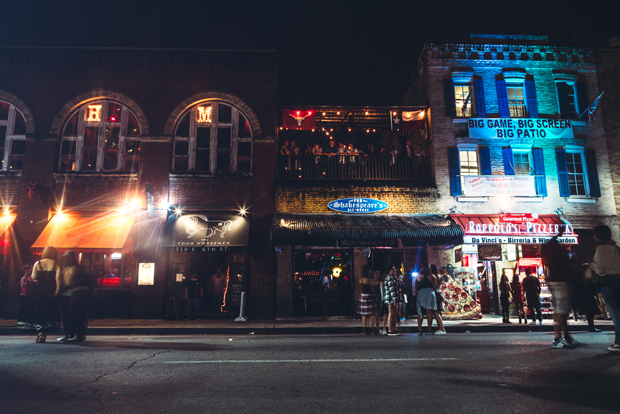 If you’d like to taste something unique to the city itself, head out to the historic Rainey Street District. You’ll find a cluster of tiny post-war homes which folks have converted into microbars complete with local beer, stages for live music, and cosy corners to enjoy the ambience. Of course, any trip to Austin will begin by booking flights. Search with Cheapflights.co.uk to get your trip off to a money-savign start.